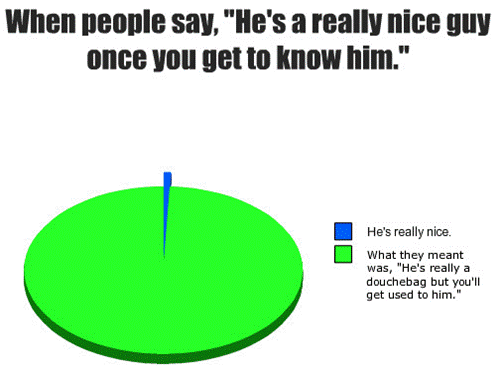 Your Friend is Dating a Douche: Now What? One of the most difficult situations to approach with caution involves your friend’s significant other. She’s introduced you to him, but something doesn’t feel quite right. Maybe you don’t click or his arrogant attitude rubs you the wrong way. Whatever the case may be, read ahead for advice which could salvage your friendship. Before jumping to any rash conclusions, give the guy a chance. Focus on the positives by consciously picking out the attributes and characteristics you enjoy about this person. Abraham Lincoln righteously proclaimed, “I destroy my enemies when I make them my friends”, which is a constructive, feasible mindset worth considering. Try your best to find common ground. At the very least, you both think highly of the same friend that introduced you in the first place. If you’ve already given this guy multiple chances, proceed with step two. No one says you have to like this guy, but making efforts on your end appears more favorable. It’s okay to decide that you just don’t like him. When faced with inevitable awkward encounters, keep it short and sweet. Don’t speak out of anger; Find ways to lighten up. 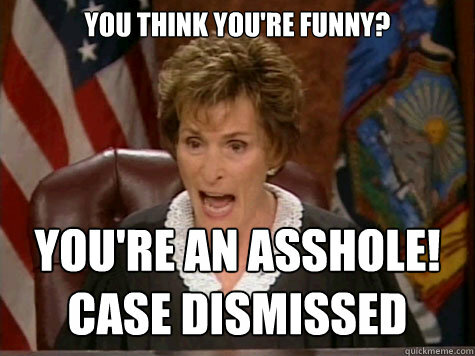 A client once told me,”When I feel anxious, I search for humor in the situation”. So likewise, imagine yourself from a third person perspective. What sort of impression or vibes are you emanating? Do you seem tense? Upset? Jittery? On edge? Now ask yourself: Are you acting like the type of person you would want to be around? Sometimes we have to face people that we flat out despise. 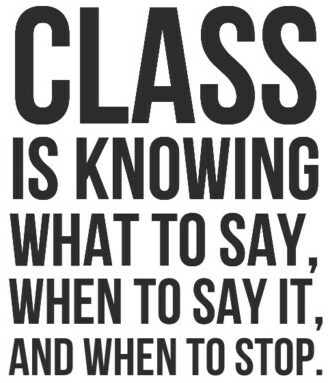 But remember to keep it short and sweet, then walk away with class. There’s a difference between your disparaging opinion of someone and their bullying behavior towards your friend. We’re talking opinions versus facts, perceptions versus reality. Use your discretion to determine why you don’t like him: Could it be that his emphatic attitude comes across as narcissistic or is this individual emotionally and/or physically harming your friend? At the core of my being, I always trust my gut. By contrary, the internet offers numerous websites specifying domestic violence symptoms for those unfamiliar with this far-reaching epidemic. Refer to this guide as a handy resource if your friend’s current relationship leaves you feeling ambivalent. If the problematic situation continues to cause a rift in your friendship, it’s time to reevaluate. How important is this friend to you? Is she worth sticking around for? By no means am I encouraging readers to ditch someone that needs their help escaping a tumultuous relationship; nor would I indicate that you just “let him win”, but at some point, it’s okay to let go. As long as the relationship isn’t detrimental, live and let live. Before you throw in the towel, have a major heart to heart with your friend. This can be tricky, because showing too much disfavor may cause her to not trust you, ultimately leading her to withholding information. Approach the subject with caution and speak to her the way you would like to be addressed by referring to empathetic tactics. In the end, you decide how to act in fight or flight mode. You can fight for your friend, fight with her boyfriend or avoid the situation all together. Just remember: Whether or not you make a choice, you’re still making a choice. And on that note, we end with Rush performing Freewill live at Toronto Rocks in 2003. Thats a really tough situation and one I have been in, it is very difficult to know what to do in a situation like that.